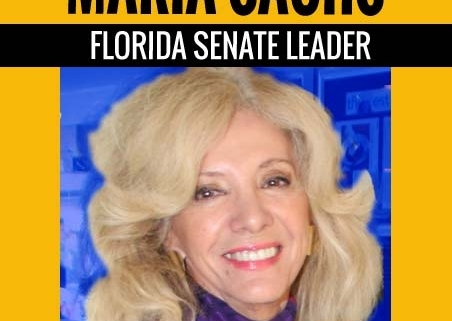 Maria Sachs will be speaking to the Gold Coast Tiger Bay Club at City Fish Market in Boca Raton on March 13th, 2019 starting at 11:30am. Tickets are available online here. Tickets will be sold at the door. The public is welcome. Lunch will be served featuring a selection of 3 delicious choices. Senator Sachs will be speaking about two topics: the problem of human trafficking in South Florida and Florida’s future. Senator Maria Sachs (ret.) has been a proud member of the Florida Legislature since 2006. After serving two terms in the Florida House she was overwhelmingly elected to the Florida Senate for 4 years. While serving in the legislature Maria was elected by her peers to be Minority Leader Pro Tempore and Minority Whip. Focusing on a tech ready labor pool, Senator Sachs focused on passing legislation for free STEM education for classroom teachers and tech training for students. She was also successful in bringing “Technion Israel” to Florida; increasing the budget allocations for the creation of the “Tech Runway” at Florida Atlantic University and incorporating online courses at all Florida’s 12 state universities. Upon leaving the legislature Senator Sachs was selected to take on the role of executive director of Innovation Florida, a nonprofit dedicated to the advancement of innovation co-founded by Citrix (Nasdaq: CTXS), law firm Greenspoon Marder and South Florida Accelerator. Working with the School District the Senator organized a computer coding class for 18 high school students. Each student successfully completed the course and received a Certificate of Accreditation with a job offer at a Florida Tech Company. Senator Sachs has been conferred the title of Knight of the Order of the Sons of Italy, the highest civilian award by the Country of Italy. She has been invited to speak at the International Trade Forum for the Business Republic of China on issues of technology and finance. Recently, she was invited by Apple co-founder, Steve Wozniak to present at the DesTech Conference Summit in Scottsdale, Arizona.